An upper-class law student writes What I Wish I’d Known As A 1L, June 14, 2011, in The Student Appeal, a new forum for law student writing. The same author, Sara Eli Mattern, also wrote Jobs for Law Students, and the Future of Legal Education, April 10, 2011. If you'd like to read books, not just blog posts, see Suggested Reading List for Prospective & Current Law Students on the Law Library's website. We have begun a subscription to Westlaw Japan (an all Japanese language online service*). Currently, our subscription is for one user at a time for the service. Please respect other campus-wide users who may need access: be sure to log off when you’re finished using the service. Access Westlaw Japan on the East Asian Legal Databases page OR via the Law Library catalog (search for “Westlaw Japan”). Users are required to login with their UW NetID. *Click here for more information about Westlaw Japan, in Japanese. In short, the product includes impressive numbers of cases, statutes, and indexes to journal articles and newspapers, in a convenient format. Westlaw Japan is entirely in Japanese. There are over 220,000 cases (including pre-war cases), over 90% of which are either in full text or include summaries. Also, there are some full text case interpretation publications such as Jurisuto electronic edition じゅりスト電子版, Hanrei hyakusen 判例百選, and Hogaku kyoshitsu 法学教室. Starting work at a big firm? Here's some advice from a lawyer who recently retired from 30+ years at Skadden, Arps: Ronald Barusch, Dealpolitik: Gift for Law Grads: The Real World Advice You Won’t Learn in School, Deal Journal (a Wall Street Journal Blog), May 31, 2011. Joshua Auriemma, who summered at various firms and non-profits and now has clerks of his own offers 5 Tips to Becoming a Great Summer Associate, Legal Geekery, June 17, 2011. He leads with one of my favorite tips: Don't be afraid to ask questions! Mr. Auriemma is talking about asking questions of your supervisor, which is very good. Remember that you can also ask questions of reference librarians, who can point you to good sources and make your research more effective. Talk to the librarians at your own place of employment, the local public law library (e.g., Public Law Library of King County), or law school libraries. We at the Gallagher Law Library are happy to answer our students' questions, wherever they are, and we're also open to the public. Check out our AskUs! link. The Franklin D. Roosevelt Presidential Library and Museum has posted a wonderful graphic: the Periodic Table of Franklin D. Roosevelt's New Deal Programs. If you hover your mouse over any of the squares in, a pop-up gives you more information about the program or person listed. You can also download a PDF. Law students, with exams behind you, be sure and take a break from your studies and consider enjoying some leisurely summer reading. Need some suggestions? The Suggested Reading List for Prospective & Current Law Students offers some reading picks. There is something for everyone here, whether you are interested in prizewinning books related to law, literary fiction, biographies and autobiographies, history, or perhaps noteworthy cases. 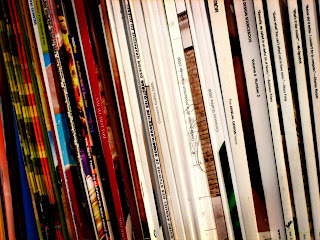 Many of the books on the list were suggested by the Admissions Office. Others have been added at the suggestion of library staff, faculty, or others in the law school community. The list is not required reading. The list includes links which will take you into the Gallagher Law Library catalog, where you can learn more about each title, including in which libraries it is held. Not in Seattle this summer? Click on the link under WorldCat, "Worldwide libraries own this item," to find out whether a library in your location owns a particular title. The only rule of summer reading? Simply enjoy it! But the different versions that were made public have never been complete. 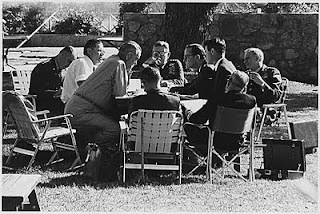 Yesterday, on the fortieth anniversary of the original publication, the National Archives and Records Administration, along with the Kennedy, Johnson, and Nixon presidential libraries, released a digital version of the entire report—about 7,000 pages. Miranda v. Arizona, 384 U. S. 436, Justia, was decided 45 years ago today (June 13, 1966). For a quick summary and the oral arguments, see (or hear) the Oyez Project. Members of the UW Alumni Association now can use the EBSCO Academic Search Alumni Edition database. The database includes over 3,000 academic journals in full text plus indexing for 5,000 more journals. If you are on campus or if you are a current student, staff member, or faculty member, you already have access to the related—and bigger—database, Academic Search Complete through the University Libraries. Academic Search Alumni Edition includes many law journals, including U.S. standards (e.g., the ABA Journal and the Harvard Law Review) and a selection of journals from Europe. A search in the database will also pick up law-related articles in general-interest periodicals and journals from other disciplines. As you can see, this database could come in handy both for professional research and for personal reading. If you're not a member of the alumni association (you don't have to be a UW grad to join), remember to check out your local public library. Many public libraries make databases like this available to library card holders. For instance, Seattle Public Library lists its databases here. Law Technology News offers Ten Tips to Enhance iPad Security (June 10, 2011). The federal courts are beginning an experiment to have some trial court proceedings videorecorded and made public. The Western District of Washington is one of the fourteen districts in the pilot project. See Courts Selected for Federal Cameras in Court Pilot Study, U.S. Courts, June 8, 2011; Restrictive Rules Announced for Federal Courts Camera Experiment, The BLT: Blog of the Legal Times, June 8, 2011. Update (June 10): One commentator rues the restrictions in the experiment (e.g., recording of only civil cases, and only cases where the parties consent): Sean Doherty, No Fly-on-the-Wall Effect From Cameras in U.S. District Courts, Law Technology News, June 10, 2011. Where do you go when you need a pre-1980 article from the Washington Law Review? If you are here in the Law Library, you might go to the Compact Stacks on L2, where you will find the bound volumes of the WLR. 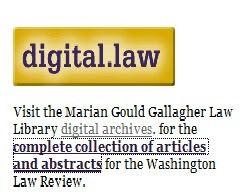 If you aren't physically here in the Library, but you are a UW faculty, student, or staff member, you could click on the Off-Campus Access link on any UW library webpage, sign in with your UW Net ID and then cruise to HeinOnline, which has PDF images of virtually all US law school law reviews, including the Washington Law Review. But what if you aren't in the Law Library and no longer a UW student? Are you out of luck? Thanks to the digital archives maintained by the Law Library, everyone can now find WLR articles going all the way back to volume 1, 1919. Visit the "Issues" page of the Washington Law Review website and look for the digital.law icon on the right side of the screen. That's where you'll find the link to the digital archives. Guess what? The Library also maintains a digital archive for the Pacific Rim Law & Policy Journal! Students, join us for the 16th annual Bridge the Legal Research Gap program on Wednesday, June 15 from 12:45 - 5 p.m.
Sources and research dealing with Washington State and U.S. law will be covered. Newspapermap.com—put together by a company in Sweden—offers a free atlas of the world's newspaper websites, combining Google Maps with Google Translate to allow you to read the news from all over. Here's a story about it from The Atlantic's blog: Reading the World's Press, From Luxembourg to Djibouti - Jared Keller - Technology - The Atlantic, May 16, 2011. To walk around in the past, click on the "Historical!" button. This takes you a map of past newspapers that are available on different sites. For instance, the San Francisco Call, 1895-1913 is available via Chronicling America, a project of the National Endowment for the Humanities and the Library of Congress. So is The Washington Socialist (Everett), 1914-15. If you're even a little interested in current events or history, you can find a lot to browse from this website! The Law Library will be open on an abbreviated schedule after UW Law exams end on Friday, June 10th. The Library will be closed Saturday - Tuesday, June 11 - 14. The Library will be open on its interim schedule Wednesday - Friday, June 15 - 17: 8am - 5pm. The Reference Office will be open on those days from 9am - 12noon and from 1 - 5pm. The Library will again be closed Saturday and Sunda, June 18 and 19. Tomorrow marks the 30th anniversary of the first mention of what would become known as HIV/AIDS in the CDC’s Morbidity and Mortality Weekly Report. The most recent Morbidity and Mortality Weekly Report briefly summarizes the CDC's HIV surveillance over the last 30 years. In addition to this anniversary, HIV has also been in the news recently due to funding shortages in some states' AIDS Drug Assistance Programs or ADAPs. ADAPs were established by the Ryan White Comprehensive AIDS Resources Emergency Act of 1990, codified at 42 U.S.C. 300ff, et. seq., and the federal government provides the bulk of the funding. The recession has caused more patients to seek access to the program and some states have tightened eligibility criteria as a result, forcing more people to pay for treatment averaging over $11,000 per year out of pocket. and AIDS law in a nutshell / by Robert M. Jarvis, a quick overview of AIDS Law. Are there times when a state court should apply foreign or international law or view it as persuasive authority? In the last two years, some state legislators have answered that question with an emphatic NO. Bills have been introduced in over half the states and have been adopted in two. Aaron Fellmeth, International Law and Foreign Laws in the U.S. State Legislatures, ASIL Insights, May 26, 2011. See also our post, International Law and Sharia in Oklahoma (and Elsewhere), Nov. 8, 2010.